Essential oils are highly concentrated pure extracts from plants that are 50-70 times for powerful than herbs. Essential oils have been used throughout history (think about Jesus being brought frankicense and myrrh) for their health benefits! As someone who is very open to holistic health and inspiring wellness, it is these benefits that have drawn me to learning, reading and experimenting with using essential oils! I must admit I am now somewhat addicted and have been enjoying the aromatic use of them as well – I think perhaps because they are pure and not synthetic fragrances, that I know enjoy having them diffusing in my home! I have also been cooking with a number of them which naturally appeals to me! You can find the collection of recipes using essential oils here. Our plants are sourced where they are indigenously grown and come from over 40 different countries around the world including Aus & NZ, over 20 of which are developing countries. This is part of ensuring top quality oils. Australia provides eucalyptus and tea tree for dōTERRA. NZ provides Douglas Fir and Manuka. Each batch undergoes multiple third party testing to ensuring purity. There are no synthetics, fillers, or anything that isn’t the pure plant material either steam distilled or cold pressed. Each oil is tested for purity and potency. With doTERRA you know that the essential oils are ethically and sustainably sourced. doTERRA has a Co-Impact Sourcing program which partners with growers and distillers to ensure they are paid fairly, on time and they are supported with resources and education. Dealing directly with growers and distillers also ensures quality of oils. 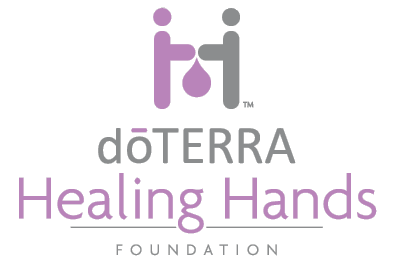 The doTERRA Healing Hands Foundation help the rest of the community, providing education, building schools, fresh water, infrastructure and more. 3. How to use essential oils? Add a few drops to a diffuser, inhale from the bottle, add to fractionated coconut oil or moisturiser to apply topically to your body or add to your cooking or water/smoothies (always check the bottles to see which oils are safe to use as a food additive). They are also perfect for reducing toxins in your house by making your own household cleaning and skin care products. Our top 10 essential oils can be used to support a range of things like mood, wellness, head tension, feelings of stress, digestive discomfort, the respiratory system, muscles and joints, cleaning, mood lifting, sleep and more. 4. How to buy essential oils? Buy a kit or choose your own oily adventure. To see all the Australian kits click here. When I first opened my doTERRA account I had ZERO intention of using essential oils for anything else apart from supporting my thyroid, let alone running a business with doTERRA. I had very little knowledge about what essential oils were, what I could use them for or how they worked or how powerful they are. I didn’t even go to a class and specifically said I didn’t want to. BUT… if I did know how much they would pervade my home, my cooking, my lifestyle, my health, this would be the kit I would have loved to buy. Not only does it have many of my now favourite oils (including frankincense, lavender peace, peppermint), it has several of my other favourite products (Ice Blue rub, toothpaste, hand wash) AND a gorgeous wooden box to store the oils in immediately. It has the diffuser and carrier oil (fractionated coconut oil) so you can immediately use your oils aromatically, topically and many of them internally. If you’re thinking of seriously embarking on the essential oil lifestyle, this is definitely worthy of proper consideration. On top of the products there is the ability to earn an additional 100 product points for free and a higher % back on loyalty rewards. OR Choose your own oily adventure – pay $35 membership fee and choose your own oils. If you need help customising your own kit, please let me know. Here is the full Australian Wholesale price list. If you are from outside Australia you can still buy from doTERRA (they are global), just choose your country! Choose the kit you want or choose the $35 enrolment option & then type in the names of the oils you want. Consider adding a Fractionated Coconut Oil so you’re good to go for diluting for topical application. Wait with anticipation for them to arrive! I will send you Welcome email and connect your to education and support. Depending on where you live, we can discuss getting together so that you can see, touch, taste and smell the oils for yourself! You can host a party at your place – there are a few options as to what kind of party you might like – e.g. Intro to Essential Oils, Cooking bliss balls with essential oils or make your own sugar scrub – it’s a whole lot of fun! You can join my Facebook Essential Oils group – very informal space to share information, recipes or ask questions about essential oils.